For as long as I can remember, Thanksgiving has always been a big deal in our family. Everyone comes together for a day of sharing family memories, eating lots of yummy food and having hearts of thankfulness. My mom always creates an over the top menu, with everything being made from scratch. From the stuffing, to the rolls, to the mashed potatoes, to the cranberry sauce. No cans being used in our kitchen. My mom is an amazing cook! She always put her heart and soul into preparing a gorgeous feast. It wasn’t until I got older, that I realized how much work goes into Thanksgiving. I remember the first time I hosted at our house and how overwhelmed, yet totally excited I was! I love, love, love hosting. It brings me great joy to have people over for a meal. This meal, however, was going to be unlike any other I had put together. When hosting at your house, start with the table decor. You don’t need much, nor do you need to spend much. I just covered the table with a cream tablecloth, which I already had. Made a simple burlap runner to go down the center. Placed a few silk fall leaves, different size small pumpkins, a few candles on neutral stands and place cards. Simple cardstock place cards are great, handwritten or printed. Add a nice touch with a leaf stamp or even gluing on acorns (thats my fave!). I remember one year I had my daughter draw those hand turkeys for place cards, using her tiny hands. Adorable and personal. Figuring out the menu can be overwhelming, but it doesn’t have to be! I always stick with what I know and what everyone looks forward to having on Thanksgiving. Turkey, stuffing, mashed potatoes, sweet potatoes, fresh green beans, cranberry sauce, a beautiful fall salad, and gluten free rolls. Hosting definitely makes it much easier to control our food allergy needs. When we do have it at my mom’s house, I just make sure I’m in the kitchen helping. That way I can see what ingredients are used, keep an eye on preparation and prepare my own dishes as well. Let’s get to the most important part of Thanksgiving…the desserts! I mean, besides being thankful for the outpouring of blessings in my life. Thank you, Jesus! Those sweet treats are the ones we look forward to all year long. I start all of my baking one or two days before the big day. There is no need to do any of the baking on Thanksgiving. Plan ahead! Bake those pies and make your traditional cookies. 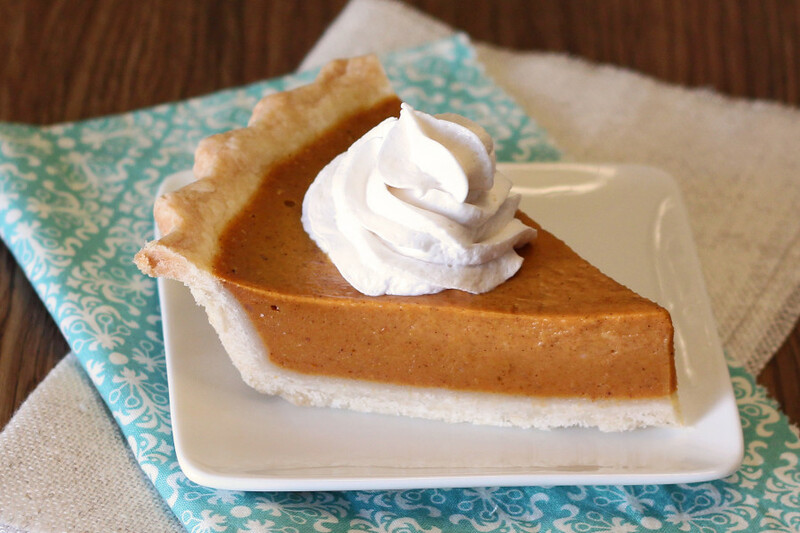 The classic pumpkin pie. Really, the only dessert anyone in my family cares about. It’s just not Thanksgiving without it. Who would have thought you could make it without gluten, eggs and dairy? I’m here to tell you it’s totally possible and completely delicious. The perfect buttery pie crust, the silky pumpkin spice filling and the must have, creamy So Delicious CocoWhip on top. Oh heavens! I totally don’t wait until Thanksgiving to make this dessert. I’ve already made one and I’m sure they’ll be many more. Now that I’ve shared a few tips and traditions on our family’s Thanksgiving, I’d love to hear from all of you! What are some of your Thanksgiving traditions, how you do this holiday “allergen-free” and are there any recipes you would love to see made gluten, dairy and egg free? 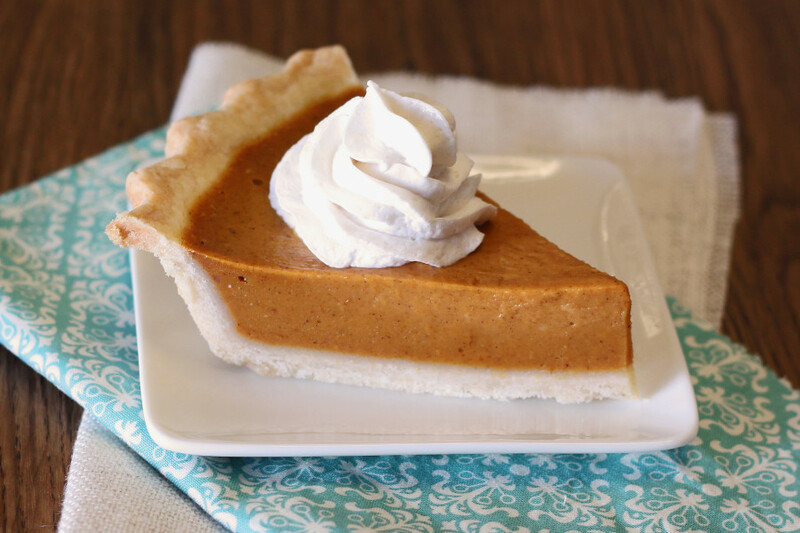 Share away, my gluten free friends and enjoy my recipe for the classic pumpkin pie! Sift together flour blend, sugar and salt. Add vegan butter and shortening. Using pastry cutter, combine ingredients until resembles a course meal and butter pieces are less than pea-size. Preheat oven to 350 degrees. Grease a 9-inch pie pan with extra shortening or cooking spray. Place dough onto large piece of plastic wrap and top with another piece of plastic wrap. 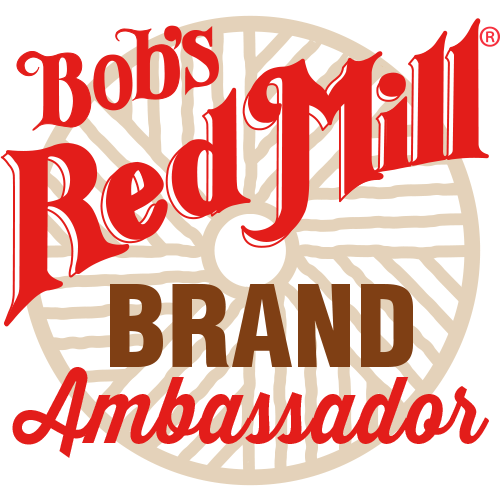 Roll out into 13-inch round with rolling pin. Remove plastic wrap from top and place pie pan upside-down onto dough. Carefully flip the pie pan, along with the dough. Remove other piece of plastic wrap. Press dough into pie pan, press together any cracks and crimp edges. To make pie filling, mix together pumpkin puree, coconut milk, sugar, maple syrup and vanilla. Add cornstarch, cinnamon, ginger and nutmeg. Whisk until smooth and well blended. Pour filling into pie crust. Bake for 50-55 minutes or until center is set. Allow to cool on cooling rack. Refrigerate for 2 hours or overnight. To serve, slice and top with cocowhip whipped topping. *If you are unable to find So Delicious culinary coconut milk, simply use 1 cup full-fat canned coconut milk, stirred. Be sure to check out the So Delicious facebook page for more delicious allergen-free holiday recipes! I love pumpkin pie! It's not a tradition in my household because not everyone in my family is a fan of pumpkin (or even turkey for that matter) so when I do have it, I really enjoy it. I'm definitely going to be trying out this recipe! It sounds super delicious! Thank you! This was my 3rd SBGF recipe for Thanksgiving. This is delicious! I had to bake it an extra 25 minutes, it just wouldn't set. I wonder if it's the high altitude? Thanks for another amazing recipe! I just took the pie out of the oven, and like yours, it needed an extra 25 minutes. I live in the hills. Perhaps you’re right. I’m having patience issues. I want to eat this pie. I can’t wait anymore! This pie was a hit! You’re a genius!!!! Can I make this with eggs?